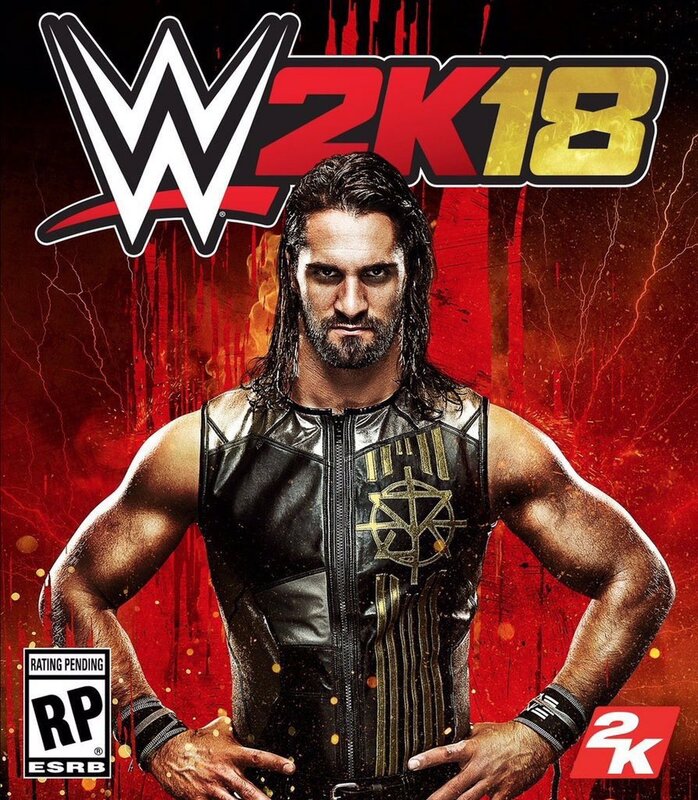 Seth Rollins has been announced as the cover athlete for WWE 2K18, check out the cover reveal here. This would be interesting and a huge change from recent years where part timers and old timers have been on the cover. Maybe a change to really focusing on the future. I really hope they don't change to focus on the future. A ton of sales come from those that only remember the past time. That's what makes me keep buying the games. I won't touch it unless it includes things from the past. I think they can focus on both as they have been doing. Seth Rollins is one of my favorites, so I'm happy he's the cover guy this year. That being said, I'm happy in general to see them using a current guy. I know a lot of people enjoy the former stars getting the cover, but I'm not one of them. I like to see current guys get their time in the spotlight, and in this case, it's very well deserved! I'm looking forward to seeing some footage of the game at some point. While I see your point, and I'm a fan of some of the older stuff they put in as well, that'd be extremely short-sided of them to do moving forward. For every fan of the Attitude era or any era prior, there's at least (total speculation) one fan of the current era buying these games. Does a mode highlighting the best of Hulk Hogan's career do anything for a 12 year old? Unfortunately for WWE, professional wrestling in general doesn't really do anything for a 12 year old. The average age of the WWE viewer is now into their 40s. In 1997, it used to be 23. It's a pretty radical demographic shift. A trailer breakdown and looks like possibly confirmation of Kurt Angle in game. I take this as they're getting rid of legends? I can't imagine that's the case, but that's how it comes off.. I stopped watching the current product regularly a few years ago because of how terrible the writing has gotten, but I know they've got a deeper current roster now than ever before and I'm glad a current guy, especially with it being Seth Rollins, is on the cover. I wouldn't mind them putting a legend on the cover maybe once every five years or so, but they've got so many other current guys in addition to Rollins that are deserving of a spot on the cover of these games. With that said, I grew up watching WWF and WCW in the late 90's and early 00's so I'm always glad to see as many of those legends in the game as we can get. Of course, none of this will matter if the game is buggy to the point of being unplayable, as it has been the past few years. So hopefully they focus on fixing a lot of those bugs and adding more depth to Universe mode. I'll be looking forward to the PC release. Hmm this stands out to me. Sounds like a tagline for a My Player type mode emphasizing to carve out your own legacy. Considering last year introduced promos I can see them doubling down on a single player, story driven, rpg like experience with branching storylines and outcomes. Or maybe I am reading far too into a single line. I really hope the trailer doesn't indicate an end to legends and I highly doubt they would remove all legends from the game. It would be pointless to do so. Less wrestlers helps no one and removing legends would only hurt sales. This would also be a harsh way to indicate the removal of legends. Almost like saying you old guys don't mean anything anymore it's all about the new generation. Why all the speculation of them cutting out the legends? Just because of the cover? I really don't think there is anything to worry about guys. Because the trailer is literally Seth Rollins wiping out the legends..
Seth Rollins "Legend Killer" persona confirmed. who is meant to be excited by seeing legends stuff being burnt and smashed?? No legends and no purchase from me. Not that I think it's a indication of getting rid of legends. its just a terrible advert. I'm cool with the removal of legends if we get a good legends game around Wrestlemania. Its about time for a Legends Of Wrestlemania 2. Hopefully with the same gameplay and graphics of 2k18. That is a weird takeaway from that trailer then. To me it would indicate the inclusion of legends, especially since most of the people who were referenced in the trailer are already in the game now. You could make an argument for both ways. I could see it as the inclusion of legends simply because we've been getting legends all this time, would be weird to suddenly stop for no real reason. Then there's the easter egg of Angle's boots in there. On the flip side. You could say that every legend represented in this video (with the exception of Angle obviously), was in 17 and Seth could be symbolizing removing them all from the game. I'd rather have legends to play with in the game, but as I made a thread about a few weeks ago, if you telling me legends are being taken out and then they turn around and release a legend based game or Attitude Era theme game as a separate special release like Legends of Wrestlemania was, then I'm all for that. The legends are still in the game. I took the trailer as it time for the current guys to make a name for themselves and stop living in the shadows of these legends. There is almost zero reason to get rid of legends from this series as they are a huge draw. The Angle boots also help that a good amount as he is likely making his return which has this as a day one buy alone. They know people like having the legends in there, if they were removing them they wouldn't rub it in your face with a trailer like that. Relax guys. I may be just too old school, but I thought the trailer was very disrespectful. I grew up watching the guys that are in the Hall of Fame and are considered "Legends" now. The whole thing was done in poor taste. JMO of course. I hope it means they're going to focus less on including more legends (not getting rid of them) and more on including current guys. Really keeping the roster as up to date as possible. Also I hope it means more focus on the career mode. Maybe the message is "don't follow in the footsteps of legends but carve your own path with our awesome new story driven career mode!" Randy Orton literally made a name for himself by RKO'ing numerous legends at one point. I don't want to come across as rude, but this video represents many things about sports entertainment. It is never meant to be taken so seriously. I've been watching religiously since the late 80's, and I loved the trailer. I enjoyed the 80's, 90's, 00's, and I enjoy it now. This trailer is more of a "pave your own way" type of thing rather than the actual destroying of legends. Some people are acting as if Seth Rollins is literally taking these guys out of the Hall of Fame or something. It's just a really fitting trailer for "Be Like No One." I felt it was pretty clearly a message for a MyPlayer theme, make your guy and become unique, be your own person, etc. Seems far-fetched to think they would remove something from the game that has a large fan base and then turn around and throw it in their face. Excellent choice. He, KO, And Styles are my dudes right now.